Viking MT5112 ride on Lawn mower for sale from Newry, Northern Ireland. Ask about delivery right to your door on this Viking lawn mower. 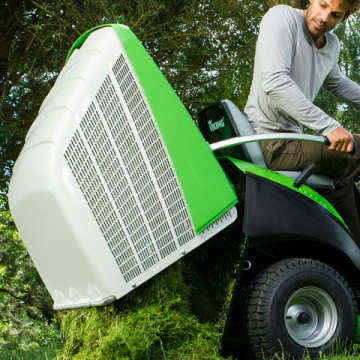 Viking Lawnmower, MT5112 Z 43 inch width with Twin cylinder 656cc Briggs and Stratton OHV engine. The Viking MT 5112 Z incorporates a very strong V-Twin Briggs and Stratton 656cc engine and great design. 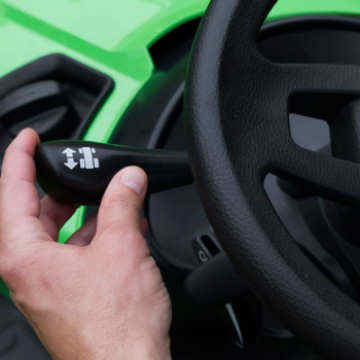 All controls are withing easy reach from the fully adjustable, sprung padded seat. 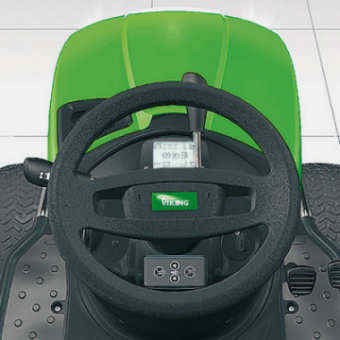 In addition the single-pedal operation and direct steering provide a previously unattained level of comfort during driving, manoeuvering and mowing. 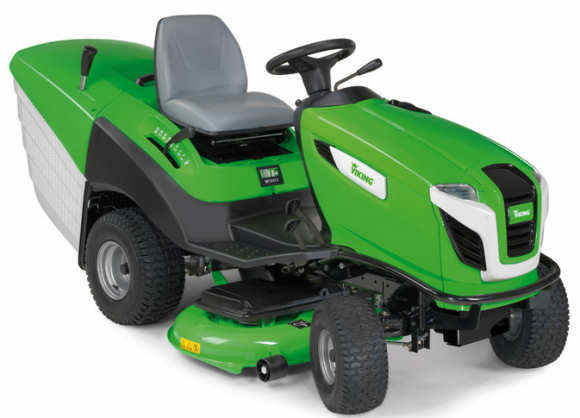 The Grass Guide System on both sides of the mowing deck catches grass blades at the edge of the deck and guides them towards the cutting blades. The 2 blade system with angled blades provides a neat and clean cutting pattern over a width of 112cm. The mowing deck can be removed without tools. Viking MT5112 Z Ride on lawn mower. Viking 43 inch width cut. Includes tow bar as standard. Large 18 inch rear tyres - Front Tyres 15 inch. Viking MT5112 Z is a heavy duty mower with rear grass collection. Stylish and comfortable steering wheel with clear control display. Easy selection of forward or reverse with hydrostatic drive . The capacity of the grass catcher box is an impressive 350 litres. Emptying is performed without back strain from the seat by conveniently pressing a lever. Removal and installation of the grass catcher box has also been made extremely easy for users: a brilliant solution for superior comfort! This Viking lawn mower is fitted with the powerful Briggs & Stratton 656cc V Twin engine for more power and less vibration.. Delivery to any County in Ireland - fuel and toll costs only.